My annual planner search usually starts around August or September each year. I start looking at new cover designs and page layouts. I want to see all the new colors and designs. I love comparing the different layouts. You might say I’m a planner fanatic. I love planners. I can’t walk by an aisle in a store with planners and not stop to look at the designs. But choosing the best planner can be overwhelming with so many choices. I’d like to help you simplify your planner search with this best planners for moms 2019 review. 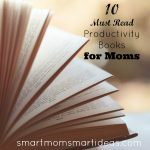 In this review, I’m recommending the 10 best planners and organizers for moms in 2019. This year, I decided to review calendars by benefit. To help you focus your search, you can see which planner you like by choosing a category like the best daily planner or best weekly planner even the best life planner and more. Choosing a planner is a very personal decision. Picking the right planner makes all the difference between a planner you use that organizes your life and a planner that just sits on a shelf unused. When you find the right planner, it’s like magic. 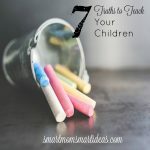 You can organize your time, keep track of appointments, remember to take your kids to soccer practice, be on time, set goals and get things done. In years past, I have spent 2 and 3 months reviewing calendars, testing calendars, and waffling between calendars trying to decide which one will work for me. I created this best planner review to make it easy for you to find the best planner. What size planner do you want? Do you want a planner that will fit in your purse to carry around or one that is a desktop size and lays on a countertop or desk? Do you like a colorful planner? Or do you prefer a minimalist planner with few distractions? What layout works best for you? I personally prefer vertical layouts, but sometimes horizontal is better. Do you have a busy life? How much space do you need to track activities? Do you like to track things by the hour? Or just by the day? Think about your favorite planner from the past, what did you like best about it? If you had a planner you did not like, why did not dislike it? If you find the right planner, you will use it all year (maybe even purchase it again and again for several years). Take a few minutes to really consider what you like and don’t like about planners and what they need to include to be a useful planner and organizing tool for you. For your convenience, this post includes affiliate links which means I will receive a small commission if you make a purchase at no additional cost to you. Read my disclosure policy here. WHAT ARE THE BEST PLANNERS FOR MOMS 2019? Sometimes the best option for a planner is a personalized planner. With a custom planner, you can design the planner you want and make it most useful for you. PurpleTrail is my favorite custom planner for moms. PurpleTrail has 2 planner sizes 6″ X 8″ and 8 1/2″ X 11″. You can choose a smaller purse size or full desk size. PurpleTrail also offers several page layouts including daily, weekly, monthly designs in various vertical and horizontal styles. They even offer the popular mom planner layout. You can also choose a beautiful cover from many designs. I love the inspiring cover designs PurpleTrail offers and colorful layouts with your name and the year or even a collage of family photos. With this planner, you get to choose your favorite cover. If you like, you can also add up to 4 additional page sections to this planner like “to-do” lists, note pages, checklists, nutrition tracker, travel itinerary and more. Pick and choose the add-on’s that work for you. Due to the many customizations available with the PurpleTrail planner, I love using it as a personal planner or a blog planner. If you are picky about your planner and like unique designs, check out the designs and page layouts at PurpleTrail see if they have the perfect planner for you. If you want a total life organizer, then In the Leafy TreeTops offers the great planner for moms. This planner includes a monthly layout and a weekly layout. The weekly layout for this planner gives you 3 divided vertical spaces daily that can be custom designated either as the morning, afternoon, evening or by your family member names or other categories (meal planning, appointments, etc…) that fit your life and planning needs. Every month in this planner has extra planning pages, weekly reminders, things to focus on and more. In the Leafy TreeTops is also beautifully designed with pretty layouts and colors every month. I always love seeing the new designs each year. This planner also includes pages for gift ideas, Christmas menu planning, monthly and weekly focus and so much more. You will find it’s easy to keep your whole life organized with this planner. One negative to this planner if you want a purse size planner, this one is a little big (too thick too heavy to carry every day). The beautiful Day Designer Planner is the best daily planner for moms. This planner is both an hourly planning and a daily “to-do” list to help you focus on your daily priorities. Each day also has a designed space for your daily “top 3 priorities” to make sure you are getting your priorities done. This planner comes in with many different cover styles. One possible negative is that because it’s a daily planner, it’s a thicker planner and probably too large and heavy for most moms to carry in their purse. But the pretty layout will accent your desk or countertop. If you prefer a simple planner with minimal design and space for a daily to-do list and hourly appointments, then you might love The 2019 Minimalist Planner. This no-frills planner will keep you organized with it’s at a glance planning for the week and allows you to easily track appointments by the hour and daily to-do list. This planner is available as a full-size planner 8”X11” or smaller 7”x9”. Choose the size that works for you. If you are looking for a goal planner, try The Smart Mom Monthly Goal Planner. 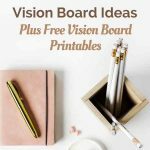 This planner monthly goal setting pages, planning and notes pages, a month in review and even a monthly goal setting vision board. I love how this planner helps you set your monthly goals and then break them into achievable steps each month. Instant digital download and easy to print. The Erin Condren Teacher Planner has everything a teacher needs in one place to keep your class organized and daily lesson plans on target. If you are a homeschool mom, this planner will work well for you, too. You can easily plan your daily course activities for each child. MomAgenda is a great planner for moms that like to track activities for yourself and your kids/family members separate and simple. The planner has soft page tones, but no flashy or distracting designs, just easy clean page layouts. On the top portion of this planner, you have space for the morning, afternoon and evening planning. On the lower half of the page, you can assign space for yourself, kids, menu planning, chores and more. MomAgenda comes in 2 sizes, hardback or spiral, and several formats and colors. This planner is a minimalist planner it doesn’t have lots of features, designs or pictures. If you like simple, this is the planner for you. The Homemaker’s Friend Daily Planner is a great planner for moms who need a grab and go planner that easily fits in your purse or tote bag. It’s lightweight and measures 5.5″ X 8.5″. This planner is perfect for moms that need easy reminders of daily appointments and schedules. It has a designated space for menu planning each day. At the top of each 2-page weekly spread, you have space for a weekly task and to-do list. The beginning of the planner of space for notes, journaling, a page for important dates like birthdays and anniversaries. It has plenty of space for goal setting, too. You can use the monthly page views for goal setting and planning or travel planning and more. The back of the planner has pull-out shopping lists. You can easily write your weekly shopping list and tear it out for easy shopping. 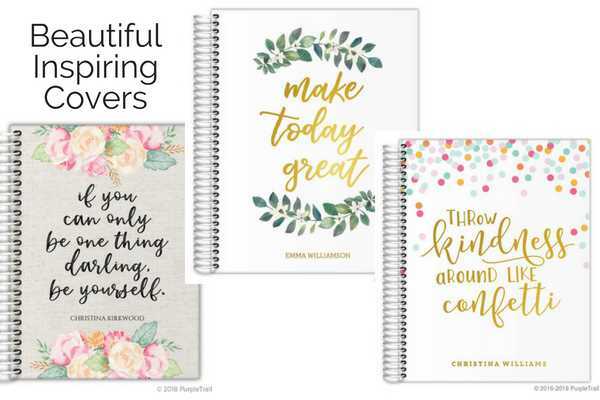 Check out the 2019 Homemaker’s Friend Planner today. The Day Designer by Blue Sky 2019 Weekly/Monthly Planner is the planner I am using for my full-time job. I chose this planner because it gives me space for a daily “to-do” list and space for daily appointments (but not hourly) and I liked the pretty layout. As a student planner for college, you can list your daily courses on one-side plus any meetings, appointments and your work schedule. Then you can list course assignments, projects and due date on the other side for easy tracking. If you struggle with tracking your schedule, assignments and to-do lists, check out this planner that allows you to see your schedule and assignments each day side-by-side. It comes in several size layouts and designs so you can pick your favorite colors. 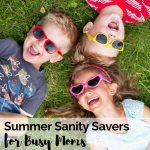 The 2019 Amy Knapp Family Organizer is a simple planner for busy moms. Plus it fits right into your purse or tote and has monthly and weekly planning pages. Each weekly 2-page spread had a weekly “to-do” page and a page divided by the weekdays for appointments and reminders. This planner is best suited for moms that don’t have many appointments and only need simple daily reminders each day. It only comes with a horizontal layout. I have used this planner I like it for simple planning and also for tracking homework assignments. Moms who need a grab and go planner will love the 2019 Amy Knapp Family Organizer planner. It’s a fun planner. It’s colorful and bright and filled with cute stickers – it’s the 2019 Reminder Binder. I found this planner last year and I just couldn’t resist it, because it was so cute. I gave it to my daughter and she loved it as a school agenda planner. This planner has monthly and weekly layouts. The weekly layouts are horizontal. At the beginning of the week, you can set your weekly priorities. It also has pages with dates to remember, holidays, contacts and more… plus several pages of fun stickers. If you like a cute playful calendar, don’t miss the 2019 Reminder Binder. Moms will love this simple 2019 weekly planner. Each week has a 2 page spread so you can see all your meetings, appointments and activities for the week in one place. Hourly time scheduling for every day makes schedule appointments easy and it’s perfect for moms that like to use the time block method to manage your day. What’s a planner without your favorite planner pens, washi tape, and stickers! Choosing the best planner can take time. Be thoughtful and pick the right personal planner and organizer for you. Use this planner review guide to find the best planner for you in 2019. What is your favorite planner? What is the feature you need most in a planner? What is your favorite planner accessory? I just received the Amy Knapp planner as a gift, and I whole-heartedly second your recommendation! The weekly spreads have just enough room for the top 3-5 tasks that I want to fit in around my work-away-from-home job, and I love that each weekly spread has small monthly calendars showing the current and next months. Plus, each page has perforations along the grocery list, so it can be easily removed. I don’t know that I’ll use this myself, since I usually add shopping list items to my phone, but it may be handy when hubby does the grocery shopping. The front cover has a pocket (a must for me! ), and the back pages are full of little stickers. Lots of goodies in a simple planner – and I think it will be perfect for how I plan my weeks right now. I’m so excited to see it on your list! Hi Michelle, I completely agree. The Amy Knapp planner is perfect for keeping track of all your everyday appointments and tasks. Plus, it’s perfect for tossing in your purse or tote bag – not too big or too heavy.